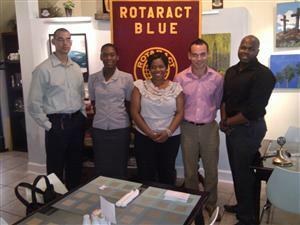 Rotaract Blue welcomes 4 new members to the “Blue Family”. L – R: David Shibli, Crystalgail Charles, Club President Sheraim Mascal, Thomas Dillon and Boris Brady. The club has now grown to 38 members.